Every student has an idea that needs to be told--an idea that promotes the future protection of the environment and coexisting with that environment for future generations. Tempestas Productions was established to give students a platform on which to communicate their fresh new ideas for the future. 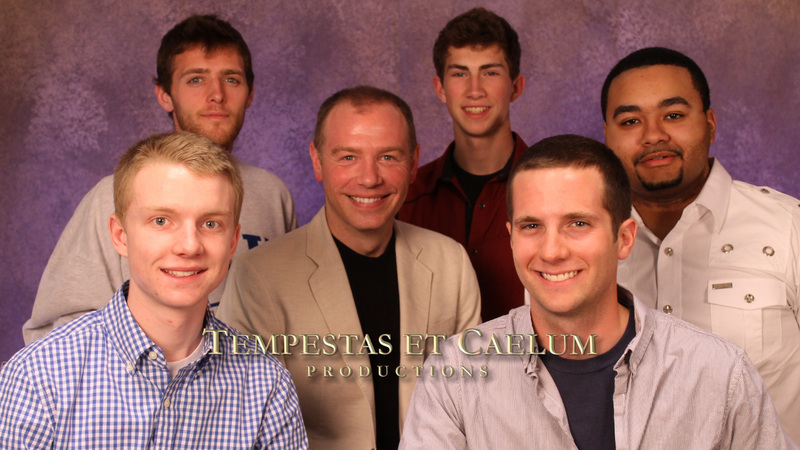 Tempestas et Caelum Productions was created by geographer and climatologist, Cameron Craig, to provide students of science, broadcast meteorology, and other fields an experience in producing documentaries. In its humble beginnings in 2006, the independent film organization produced its first production, "An Illinois Winter," that required students to research and write a script about the Winter of the Deep Snow in Illinois in 1830-31. In 2007, co-owners Cameron Craig, and Kevin Jeanes began their significant eight-part documentary project, "Expedition Nature's Realm," that explores the coexistence between humanity and nature that is Earth. Craig's major project was his historical film, "Stinging Dust & Forgotten Lives: The Dust Bowl," which delves into the causes and emotional struggle of the Great Plains farmers. Since 2010 the TCPFilms Family has grown to include new students and new full-length productions that get to the heart of important issues such as "Returning to Paradise: Voices of the Human Spirit" that explores the impact the BP oil spill had on the residents of Dauphin Island, Alabama. Currently in production this Fall 2014 is "Expedition Endurance: An Inquiry into Human Survival" that explores the dwindling water resources of the United States that is expected to air on WEIU and various Midwestern PBS stations this Fall. Tempestas Productions believes in letting the students take the platform and critically think about their world, past and future. Without these younger thoughts, our world will never progress. Tempestas Productions at Eastern Illinois University has become very popular among students whom desire a Chance to tell their story. And their story will continue to be told in order to give those Chances. With the generous support of the Center for Academic Technology Support, the Department of Geology/Geography, the College of Sciences, and WEIU at Eastern Illinois University, the organization continues to support the goal of providing students with a foundation that will enhance their future careers and protect the only thing worth saving...Our Home and Our Children. Each of the productions created by the TCPFilms Family has aired on Public Broadcast Stations in the Midwest and online via Vimeo.com and YouTube.com around the world. Various educational institutions in the United Kingdom, France, Greece, and the United States use the films in their classrooms to provide students with a film that presents issues in a different and philosophical manner. Many of our films come with lesson plans and summary questions for all ages. If you use our films in your classroom, we would enjoy hear from you! View our entire studio productions on TCPFilms.